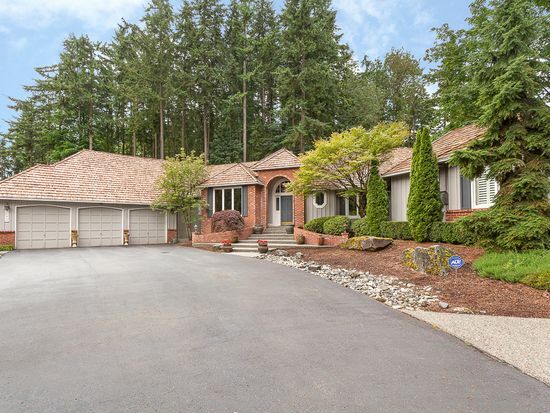 Stunning, gorgeously appointed RAMBLER in Canterwood on Hollywood Hill. RARE Large Rambler (3,780 asf), like no other: Extensive use of Travertine, high-quality, updated architectural moldings/trim, granite/stainless kitchen w/stylish designer colors & elements, plantation shutters throughout. Master is separated from other bedrooms & fully updated w/fireplace & spa-like bath. Super entertainment deck w/gazebo + hot tub. Min. to wine country, amenities, Microsoft. Northshore SD Welcome Home!